First things first on Sundays. Once awake and with my feet under me, I prepare breakfast. It’s simple and quick. I have other tasks to do before leaving for church. This Sunday is special as it’s musical from beginning to end. At church, we expect the sounds of our Children’s Choir. Hearing these young voices is always a joy-filled experience. Children present the fresh and unadulterated faith we all should carry in our hearts. Under the direction of a talented young man, the children sing a new arrangement of Down by the Riverside. 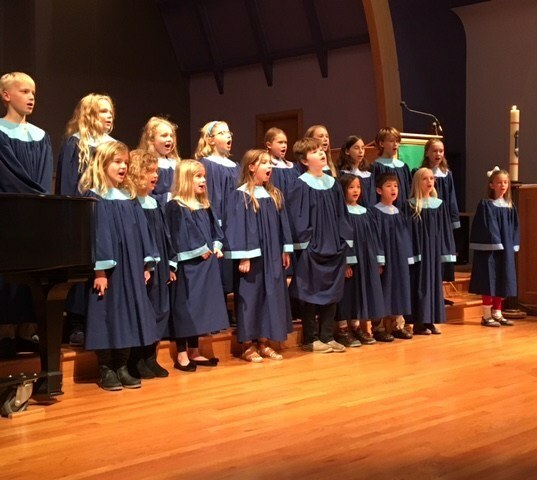 Our choristers range in age from kindergarten through grade school. Their abilities follow the same range. Their performance gets rousing affirmation with applause. From here, we dash for a cup of coffee and some fellowship with friends and new faces. We can only stay a short while as we have other places to be. Early afternoon and after a bite of lunch, we head out to attend a concert by the Bach Cantata Choir. This organization is made up of some very talented vocalists and musicians. The choir’s goal is to sing all Bach’s cantatas in 30 years. I have no idea where they are in accomplishing this. Yesterday’s concert was billed as “Super Bach Sunday.” The group’s director offers this concert as a substitute for an annual football game on TV. We were blessed with some awe-inspiring and spiritual cantatas by Bach. Pieces by siblings, Felix and Fanny Mendelsohn, and Handel finished the program. We left feeling overwhelmed in a joyous way. We commented to the director that yesterday was a WOW! performance. It was a beautiful blessing, both morning and afternoon. The feeling will carry us through this week.